Advocate Sunil Rugunanan holds an LLB from Rhodes University and has spent two acting stints in the Eastern Cape High Court in Grahamstown, in 2014 and 2016. He has shown an ability to write clear and lucid judgments during these acting stints and has dealt with both civil and criminal matters. Where the occasion has demanded, Rugunanan has noted the societal context in which many of these crimes were committed and the idea that “justice must be seen to be done” by broader communities. In dealing with a 18 year sentence for a murder conviction, Rugunanan “considered the matter anxiously” before confirming that, after considering the circumstances, “a heavy sentence in excess of the prescribed minimum is justified”. Ragunanan confirmed that 18 years was “proportionate to the nature and seriousness of the crime”. He has previously worked as an Estates Examiner for the department of justice and as an advocate at the Grahamstown Bar from 2001. A judgment reserved for nine months proved the major sticking point in advocate Sunil Rugunanan’s 27-minute interview — judges have three months to deliver a judgment or can hand it down during the following term with the permission of the judge president. In his defence Rungunanan said the tardiness was “not a result of indolence or incompetence on my part,” but because it was a “very complex matter”. Rugunanan’s attempt to explain the complexity of the matter — which dealt with legislation and safety regulations related to demolition of buildings — did not appear to win over the Judicial Service Commission. 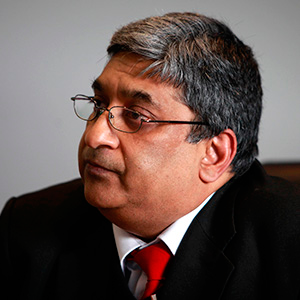 The JSC was even less impressed when Rungunanan admitted that he did not know he was required to seek out the Eastern Cape Judge President’s permission to delay handing down a reserved judgment.